6. 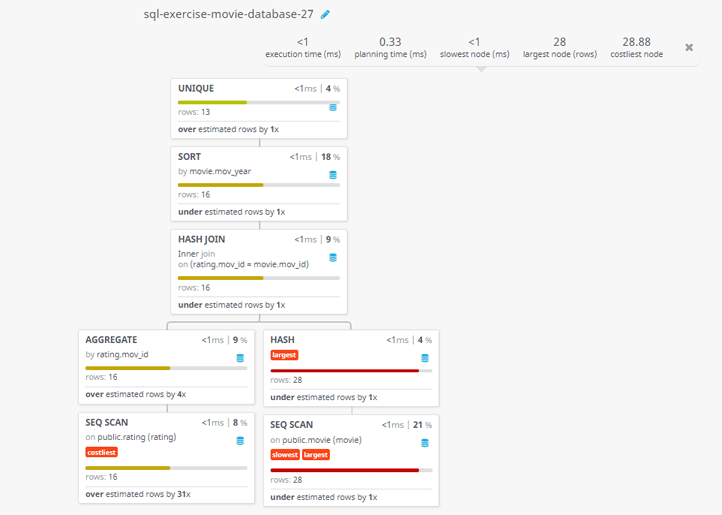 Write a query in SQL to find all the years which produced at least one movie and that received a rating of more than 3 stars. 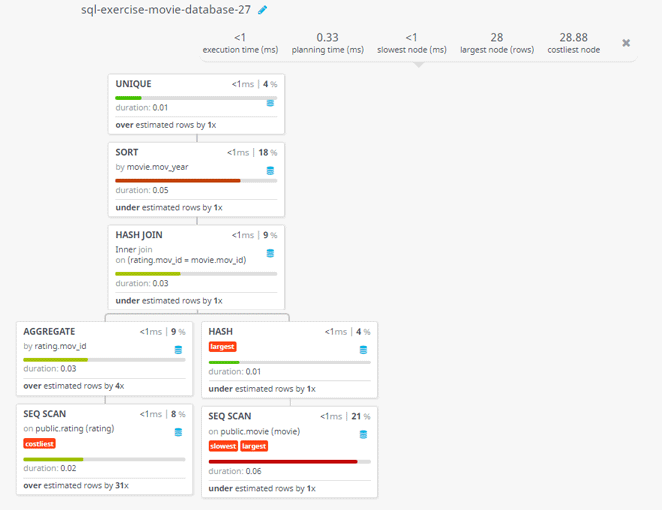 Show the results in increasing order. 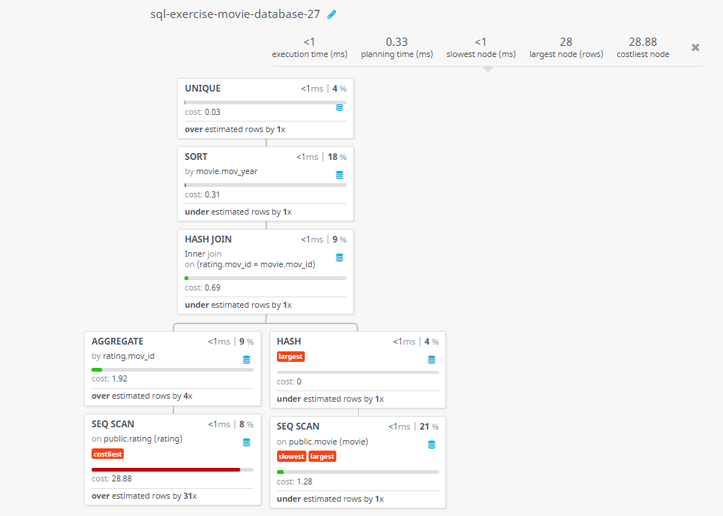 Previous: Write a query in SQL to find the titles of all movies directed by the director whose first and last name are Woddy Allen. 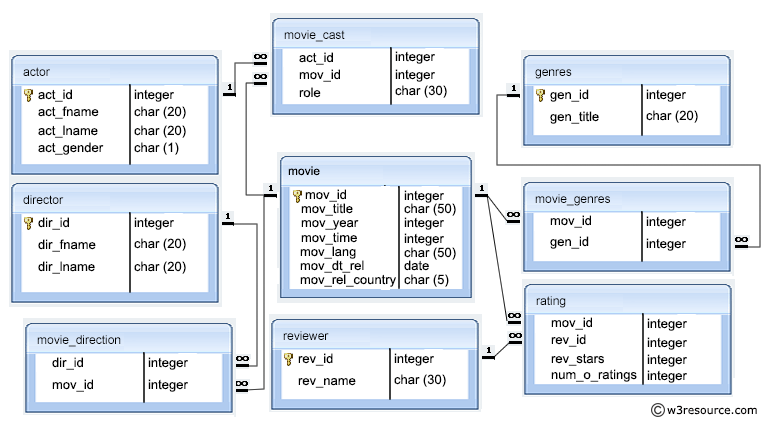 Next: Write a query in SQL to find the titles of all movies that have no ratings.